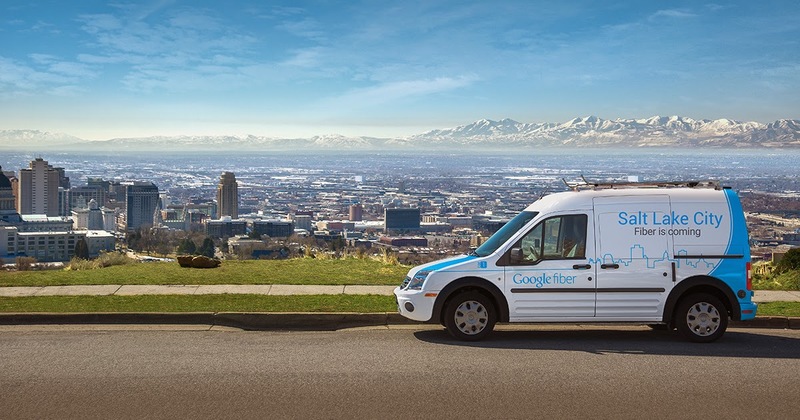 Announced this morning, Google Fiber is coming to Salt Lake City. As the newest city to get an official green light, SLC will eventually be encircled with a fiber optic backbone, with cables extending into the city via existing telephone poles and electrical conduits to deliver 1Gbps Internet data speeds, as well as Google’s own TV service. It is stated that the Google Fiber team in SLC will include a community impact manager, who will see to it that Internet access is deployed to underserved and low-income neighborhoods. As we know from Google’s website, Google Fiber has three tiers of pricing. The full package, which includes Internet and TV, runs $130 a month. The second, which is just Internet, costs $70 a month. But for just a $300 construction fee, any home can gain access to the Internet at no monthly cost. Free Internet for all is one of the big highlights of Google Fiber. Google does not state when construction will be complete, but initial preparation has begun. Question of the Day: Which Widgets are on Your Home Screens?